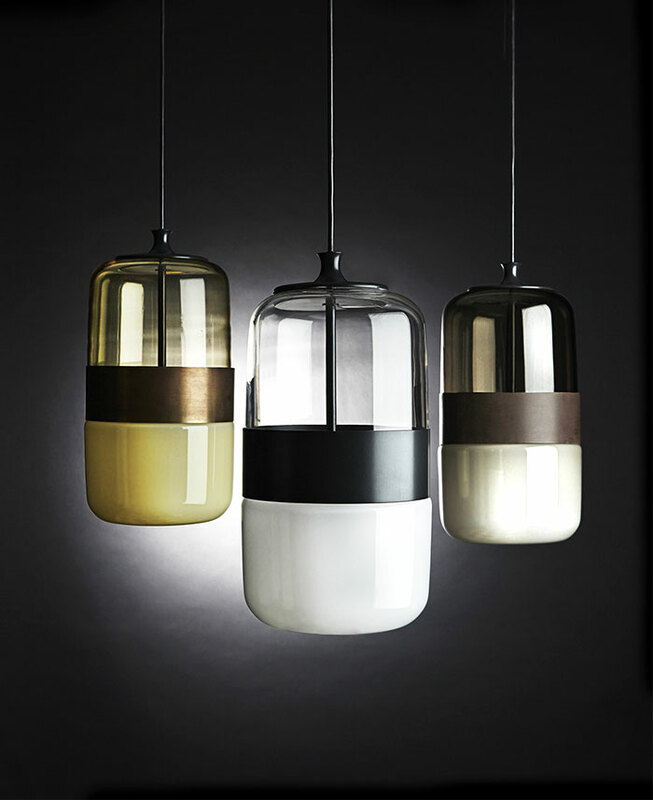 The collaboration between Hangar Design Group and Vistosi continues with Futura, a new line of pendant lamps in blown glass, available in three exclusive colors combined with different finishing on the metal ring. The glass is blown in one piece, but the unusual artisan process gives a transparent colour in the upper part and an opaque one at the bottom. 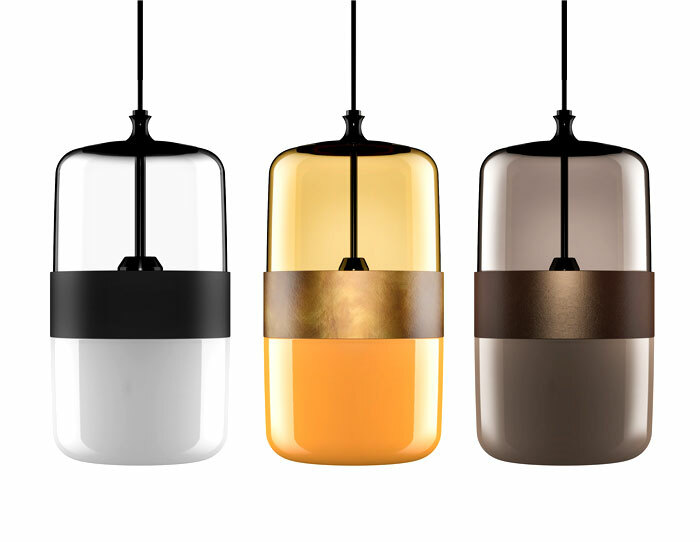 The engraved metal band that embraces the body of the lamp underlines this polarity of effect – transparent in contrast with shades of white, smoky, and amber. 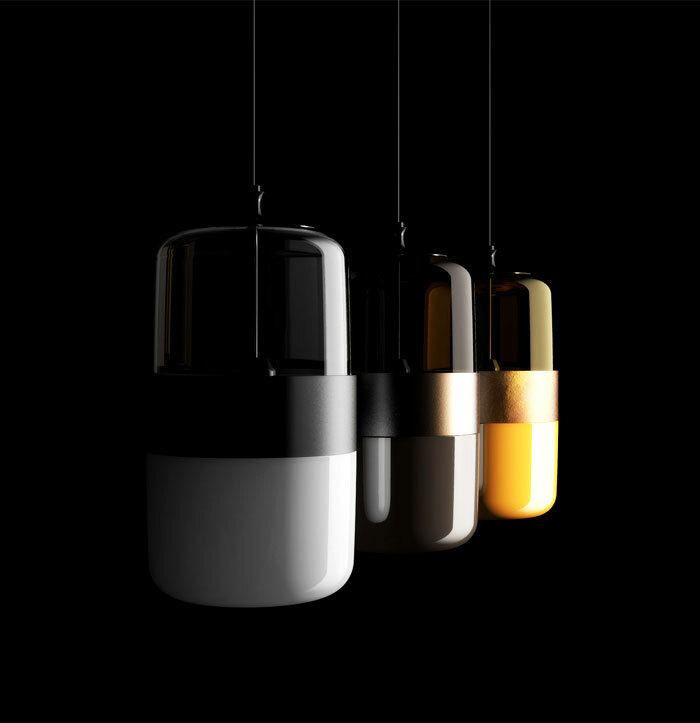 The double effect of transparency and opacity of the glass, placed so closely together, spreads directly and indirectly a pleasant light, sufficient to illuminate the ambient harmoniously. Linear geometries of classic proportions emphasize an incisive, adjusted hallmark. 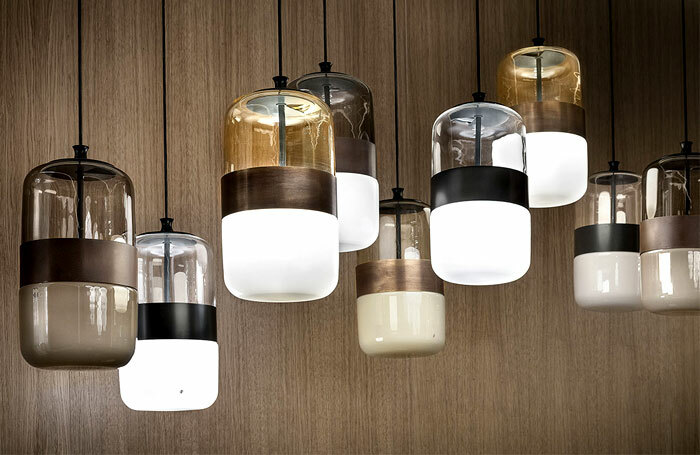 Hangar Design Group designed Futura taking inspiration from the typical Italian 60’s and 70’s lamps.